having their variable Q VCF and since two hours the SSG, I cannot wait, to get the next modules, which they turn from Serge into eurorack. I love the layout, which is perfect for my fingers, the filter sounds marvelous and the looks are beautiful (= inviting me to patch and wiggle) I know, its not in the small footprint departement, but this is exactly, what it makes them so fantastic for me: you can patch a lot and still have room for the knobs. within minutes with the SSG I got results, which I was not able to figure out with the sportmodulator – this tells you about my (missing) intelligence, but also about the very clever seducing layout of random*sources' SSG. I simply adore the two modules so far! I also love the VCFQ ... a great filter ... very powerful! The new SSG looks amazing! 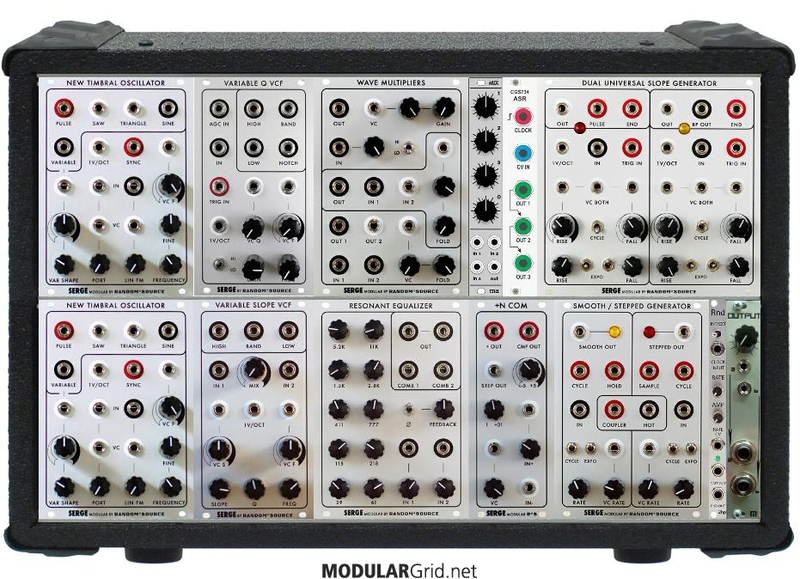 I just order the SSG and Resonant Equalizer, anybody knows where can i find a mouser bom for this new modules ? Look in the DIY subforum, somebody posted a mouser cart for the res eq. I hope he comes out with the wave multiplier next, if he does it will stop me from buying an animal. These modules are of high quality and it looks like he will be releasing the entire line. I wonder if there will be any good reasons to go with 4u rather than eurorack if you just want a basic serge system? Slightly bigger and banana patching.... I love my STS system but it will be interesting to see where this Euro Serge line goes. I still feels like I am using an instrument rather than a collection of modules with the Serge stuff. The build quality is second to none, this includes Buchla, Wiard, Fenix, Euro. It is military tough and I am quite confident it will outlive me, I never felt that way about any Euro modules with the exception of Livewire. I'd certainly like all three modules that are released so far. They look great. Looking forward to reports on the the newest two. The filter seemed very well received. Yeah man the build quality of the pcbs and panels are simply amazing! What a joy to build. I think I may have missed out on the res eq complete kits which I'm pretty bummed about. I will most likely just have to use the mouser BOM unfortunately. Anyway I am absolutely going to be build my system around these looking forward to the stuff that is yet to be announced!! 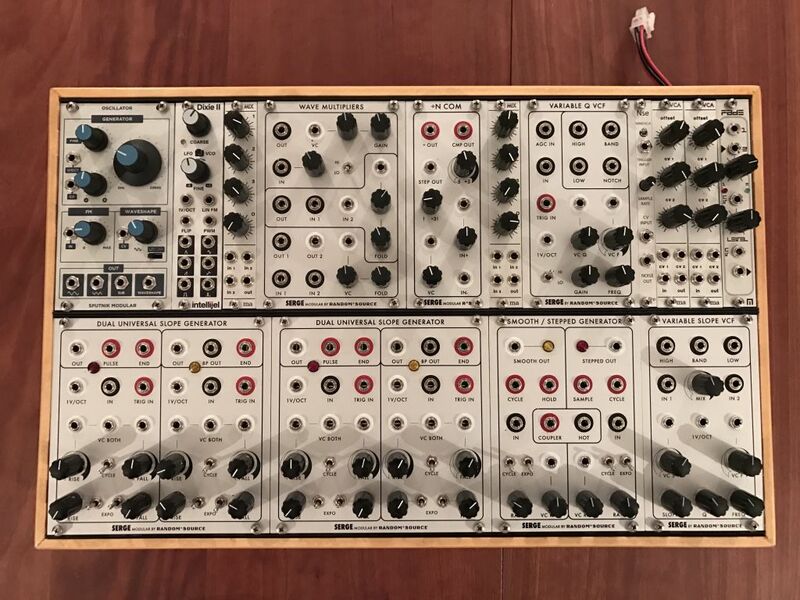 Here's the eurorack Serge system I recently built. 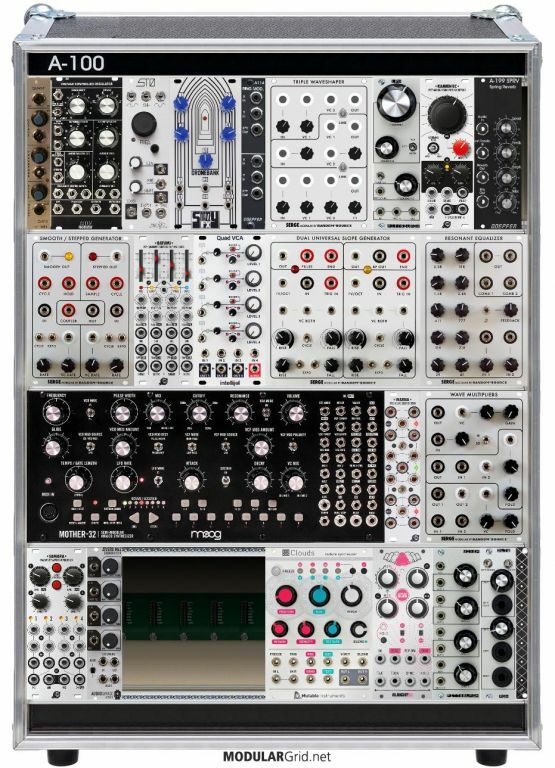 It's almost entirely R*S. I discussed it a bit over on the buchla/Serge forum, and after getting a fair bit of feedback it landed in this configuration. I really enjoy this system, especially when using stackcables and when not relying too much on the traditional oscillators for that role. I absolutely love the r*s serge modules. Definitely amongst my favorite modules. Really high quality kits. Here's what my system will eventually look like once the NTOs become available. Though I'm weighing up whether I should go for a second DUSG instead as I really love that module and they're already available. Really looking forward to taking this case out for a performance this weekend! wavemult is just the best thing ever imo. i love that thing to death. would like to get more r/s serge when i can. DUSG would be dope. Here's what my system will eventually look like once the NTOs become available. Pretty similar, looks great. Personally, I love the double-double -- having two DSG makes it really different. It was worth missing out on the Resonant EQ, given I really wanted to stay at 84hp rows. DUSG plus wave multipliers is a match made in heaven. Infinite beauty in that combo. I don't think I'd swap it out for anything because there's nothing else really like it. where can i watch and listen to good NTO demos? There are plenty of sound samples on the Random*Source page for the NTO. They're on soundcloud. Yes! R*S Serge love indeed. Just got a few modules and can't stop exploring them. So much sonic territory with just DUSG-WM-SSG-VCFq. The VCFq is my all time fave filter. What VCAs are you folks using with these modules? 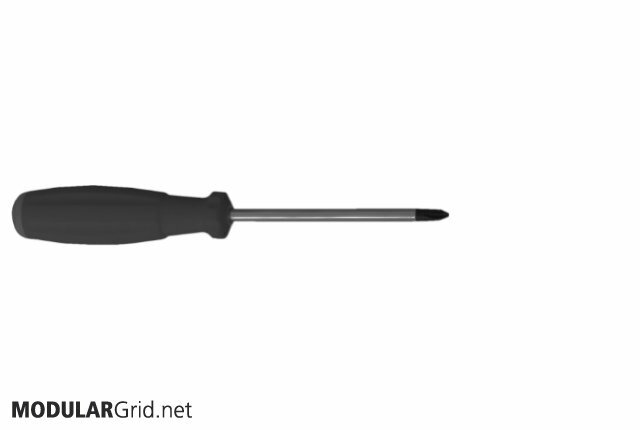 Does the DUSG output +/-5V peak-to-peak? QVCF should be posted to me tomorrow and the NTO will be ordered once i sell the Aion 921 VCO. Still have to study the NCOM properly to understand what it actually does... And you don't see a lot of love for the TWS but it gave a whole new life to my Dronebank. Great match. I've pretty much re-worked my 104hp skiff (only rig currently) into an R*S rack. This is it currently. I'm building an SSG right now and I'll duel with the Wogglebug. However, if it stays, then I'll need to find a noise source for random uses. I'd concur that these are just superb modules. Easy builds, amazing quality, amazing sound, and the workflow just fits excellently with my synthing mindset. And yes, they're a bit big, but I'm starting to find that large panels are an ergonomic luxury and worth the HP sacrifice, even in a small rig. I'd rather have less modules that I can play comfortably than more modules that are cramped.